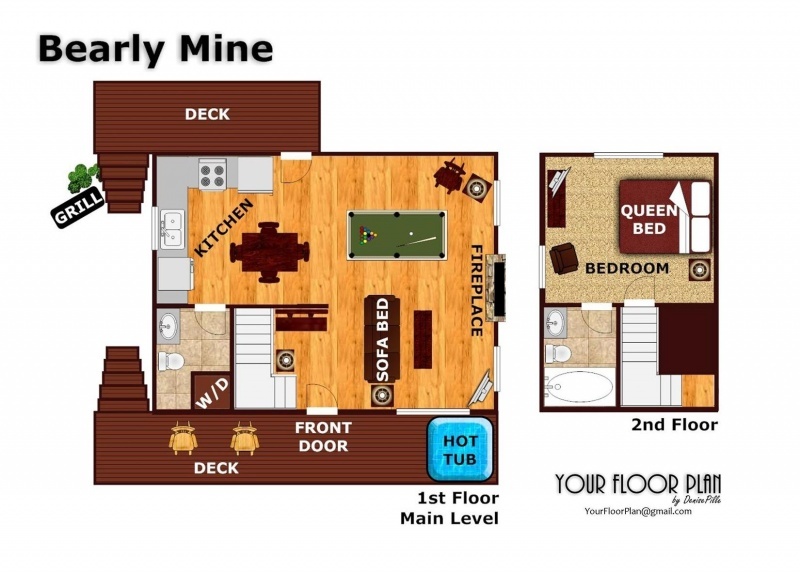 Bearly Mine is a cozy 1 bedroom cabin just perfect for honeymooners or a small family. 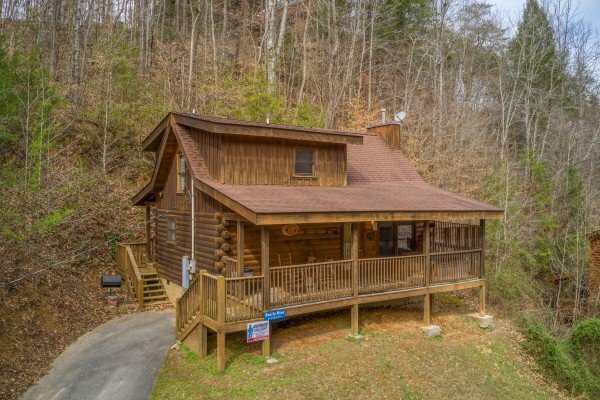 Located just off the Parkway in the heart of Pigeon Forge, this semi-secluded log home is waiting for you to make it yours! 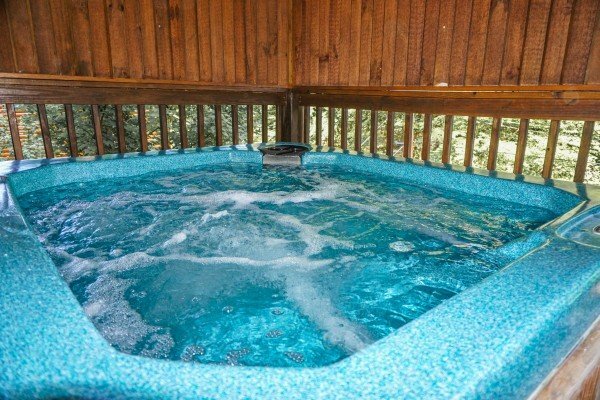 Relax in the hot tub on the deck or kick back in a rocker and watch the world go by. 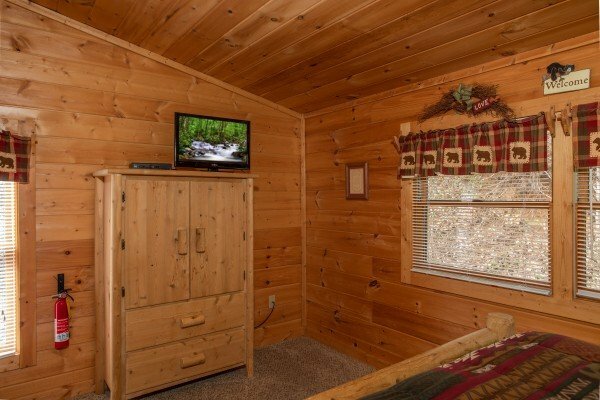 The cabin features a gas-log fireplace in the den as well as a 32" TV with DVD player. The sleeper sofa in front of the fireplace is a perfect spot to curl up and watch a movie or a great spot for the kids to sleep. 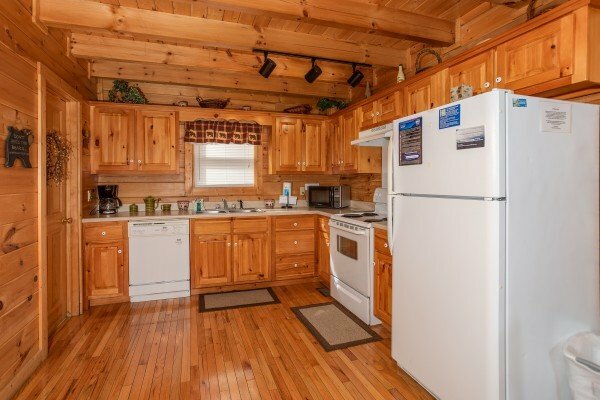 There is a fully equipped kitchen and a charcoal grill on the back porch to keep the chef in you busy. 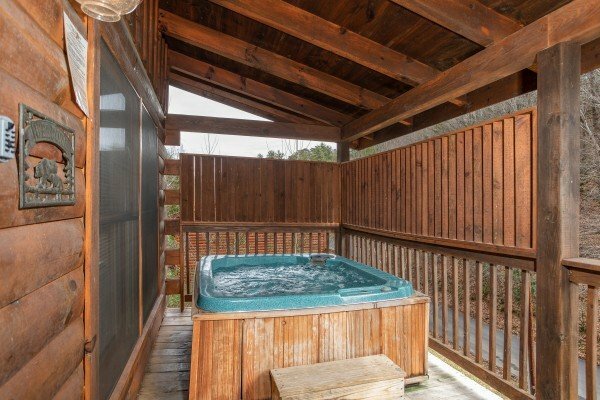 Upstairs you'll find the private bedroom with full bath, a Queen Log Bed and TV. 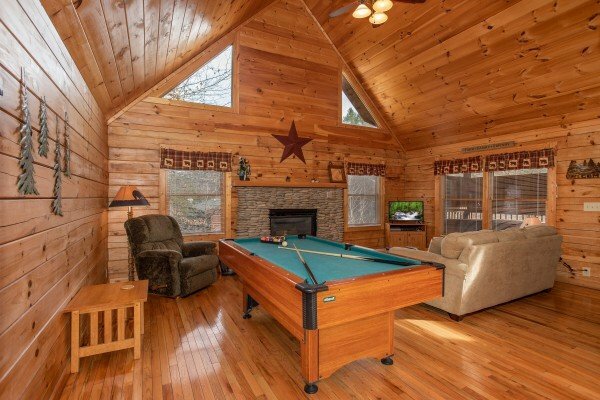 The pool table is sure to keep a little friendly competition going throughout your stay! 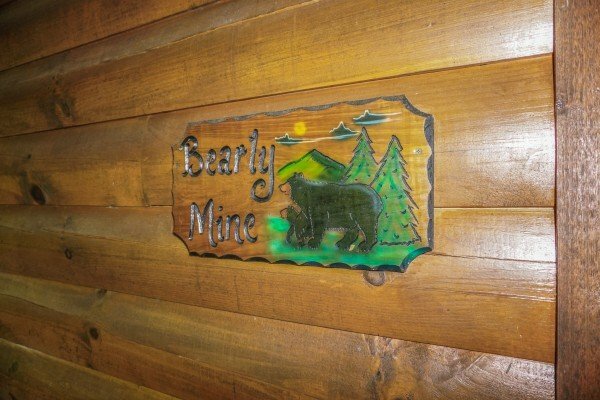 BEARLY MINE is waiting for YOU! Getaway today! 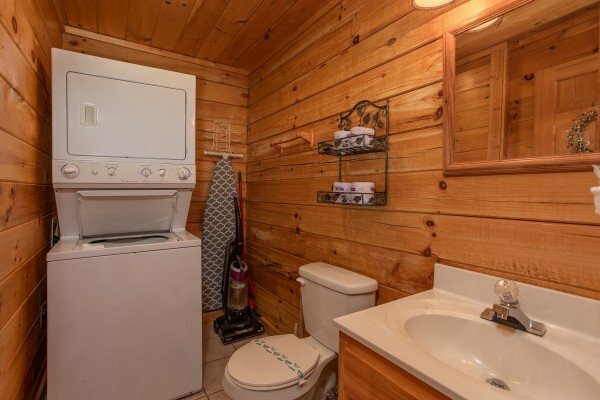 The only thing you could improve is a few more towels to be available. It was a wonderful Time and the cabin was beautiful. It was a homey feeling while being away. 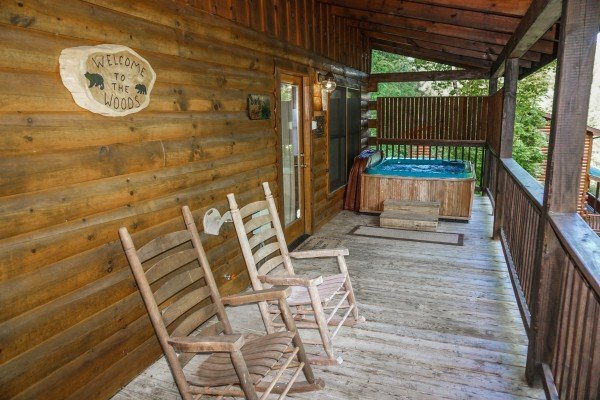 This is a wonderful cabin and my husband and I totally enjoyed our stay. 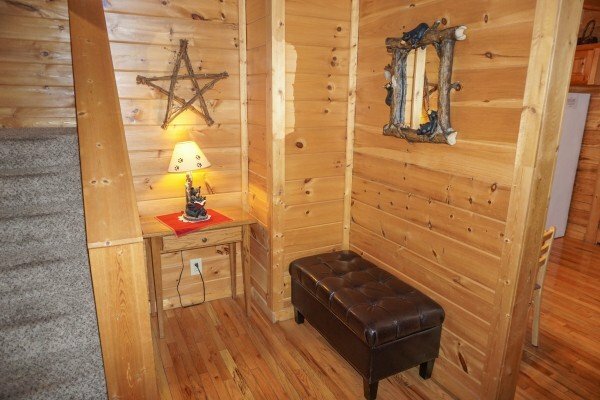 We will definitely try and get this same cabin on our next trip to Pigeon Forge. The price was good and the location perfect. 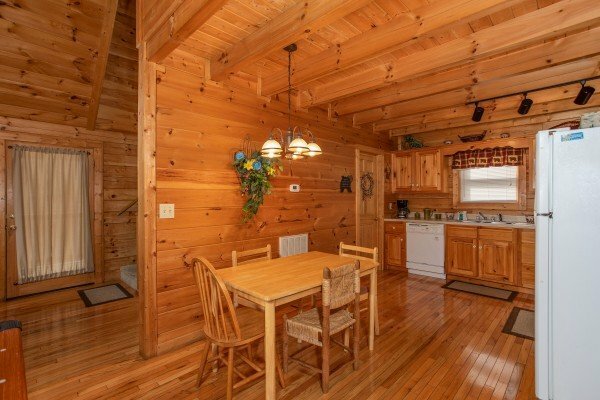 This cabin was very clean and well managed. Thank youfor helping to make our vacation a special one. 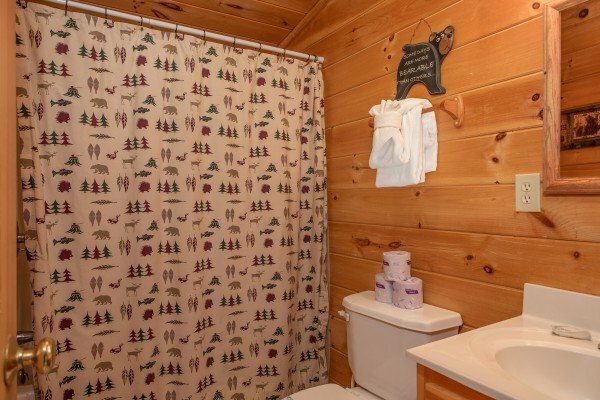 Cabin was fantastic - clean and conveniently located to all the attractions. 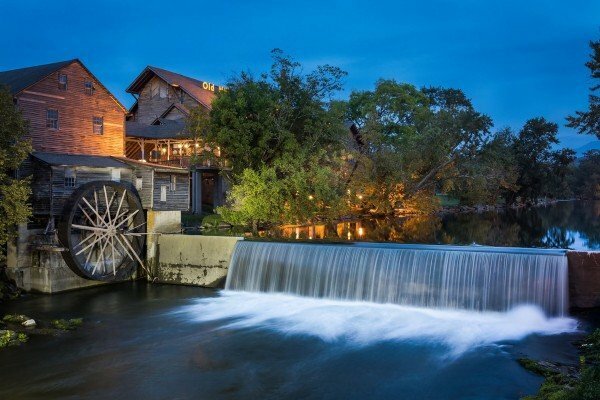 We would most certainly stay there again and recommend without hesitation to our family and friends. Cabin was great. Only problem was driveway had a big pothole at bottom and since it was steep it mad it hard to drive up. We had to back in to make it up. Staff was great when we accidently locked the key inside. Thanks for another good trip. Wow!! Our stay was a BIG GREAT! 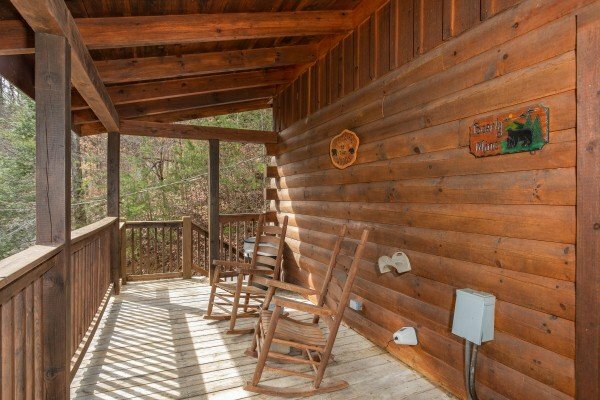 The cabin was Clean and far away from the parkway but yet So close to anything you wanted to do at any Time of the day or night To where you dont Have to worry about the mountain roads...I can not wait to get Back !!! Cabin was very clean and nice. 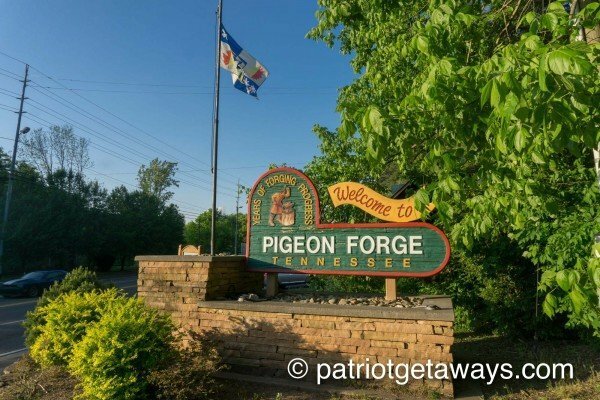 This was our first time staying in a cabin in Pigeon Forge. I will definitely not be using a hotel again! Thank you for your hospitality and ease of getting in the cabin. 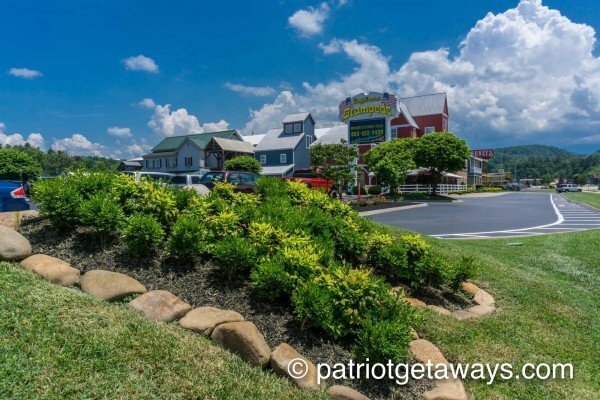 We will definitely be staying with you again! Overall we had a great time. Our reservations for the Dixie Stampede were mixed up. I had requested the south side and we were booked for the north side. Other than that everything was WONDERFUL! Staff was nice, the cabin was great, and we cant wait to doit again! I hated to leave. I wanted to stay longer. Beautiful cabin. Very clean. The driveway was very hard to turn into. The front door needs a full length blind installed. I was not real comfortable with the full length window in the front door without a curtain or blind. 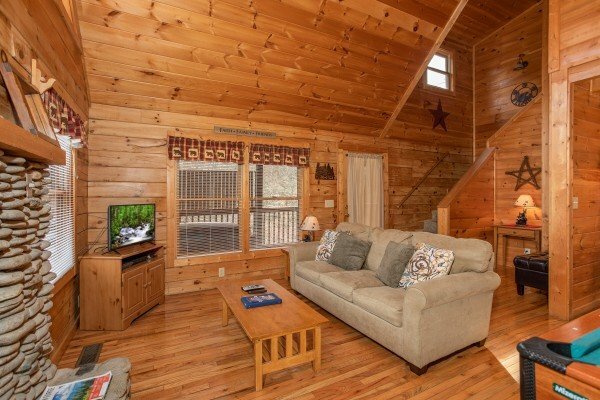 Overall the cabin was very nice.We have used APG before and will continue to do business with you in the future. 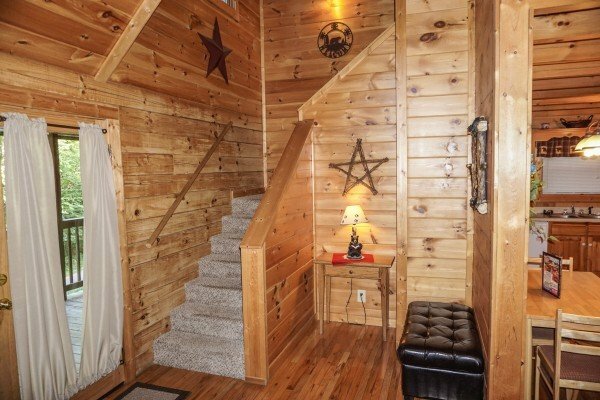 Great cabin at a great value!! 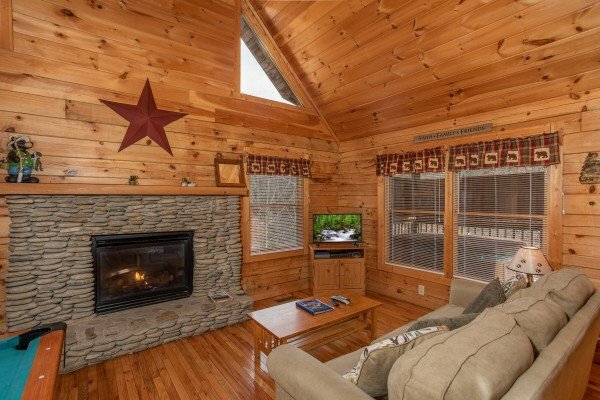 This is a perfect cabin for 2 or small family. Very nice for the price!! And less than a mile from town, very convienent, yet semi-secluded, low traffic. Highly recommended!! 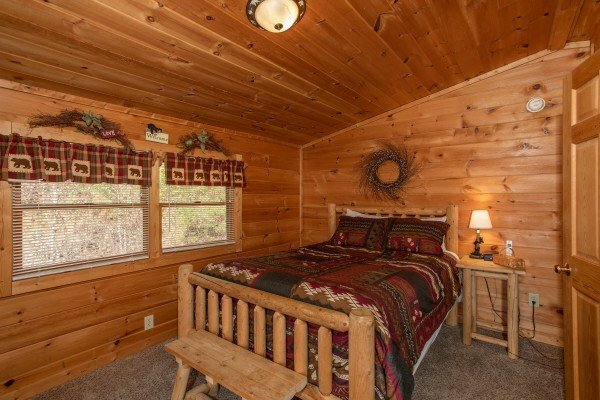 cabin was very nice and we were pleased with everything..meagan was very nice and helpful..